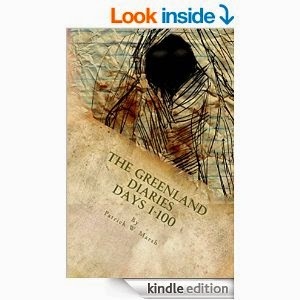 Thank you everyone for supporting me throughout The Greenland Diaries. If you know anything about the origins of this blog and story, it started as a meager past-tense exercise I undertook when I returned to college for writing after a lengthy absence. I would write it everyday, without fail, and hope that my family and friends through Facebook and Twitter would pity me and read it. The vast majority of my views were through friends and family. The tide then turned to an actual audience, and I'm so very happy to have them support me through this far and long procedure. So once again amazing audience, thank you. There have been a few slight changes to the site. The first 100 days are no longer available for free. If I want to make any money as a writer, I've got to start realizing the value in my own work. The first 100 days are now available in novel form for $3.99 on the Kindle and $15.00 in paperback form. There is added/bonus content for the blog if you purchase it as a novel. There are more clues, more descriptions, and more everything in the novel. Yes, I do know how this story is going to end. I'll still update the blog every week with a new entry for Days 101 - 200, until they're released in novel form. I see this story going for another two years at least (outside of the actual journal entries). I'll get back in the habit of posting twice a week, but until then, enjoy the latest entries and take care.